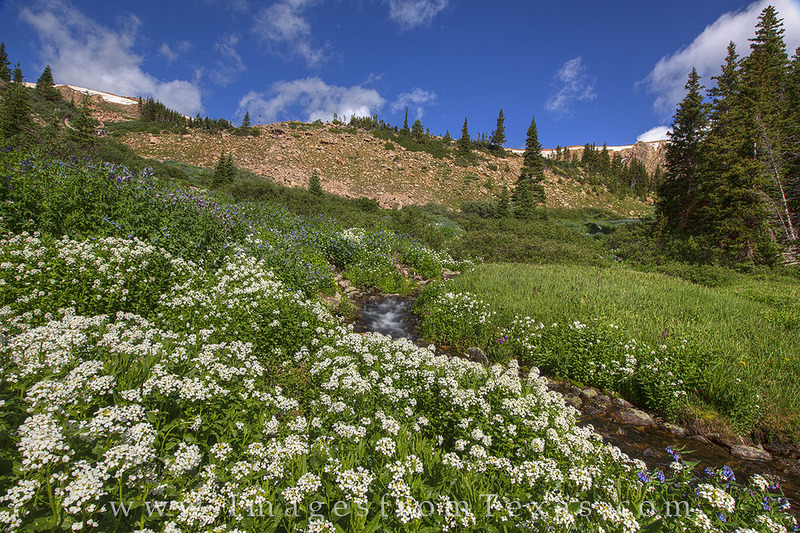 Colorado wildflowers bloom on a July morning near the top of Berthoud Pass about 8 miles from Winter Park. The hike up this trail takes about 30 minutes, and in summer the meadows can be filled with the aroma of various blooms. This area can make for a great morning or evening hike. Just watch out for the afternoon thunderstorms! Photo © copyright by Rob Greebon.